astle Lane is a boutique development of apartments and townhouses ranging from 1, 2 and 3 beds. Located within the well sought-after and historic Birdcage Walk Conservation Area of Westminster in London. These luxury residences are each individually created to bespoke specifications providing an extremely high level of luxury and individuality. The development is conveniently located in close proximity to the Victoria Transport Hub, providing access to the West End as well as fast national and international links. Around the Victoria Transport Hub, the area is being rejuvenated to create a modern and dynamic destination, attracting high-end retailers and global businesses. 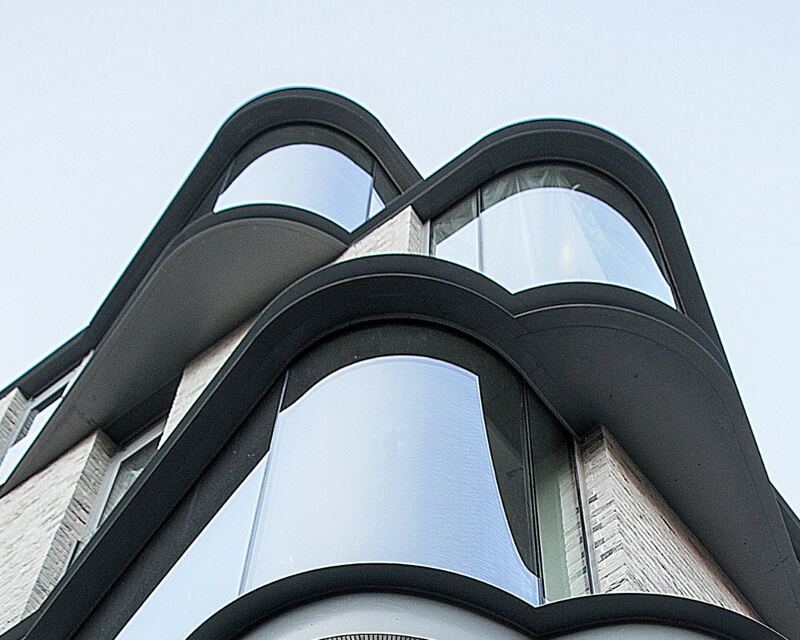 The main feature of this glazing package was the large curved glass windows that were installed to each apartment. These windows utilised fixed glass panes that protruded from the façade of the building. As the floor of each apartment extends out to meet the curved glass, the homeowners and occupants are presented with an area that reaches out to overlook the streets below where they can enjoy the views of the surrounding cityscape. 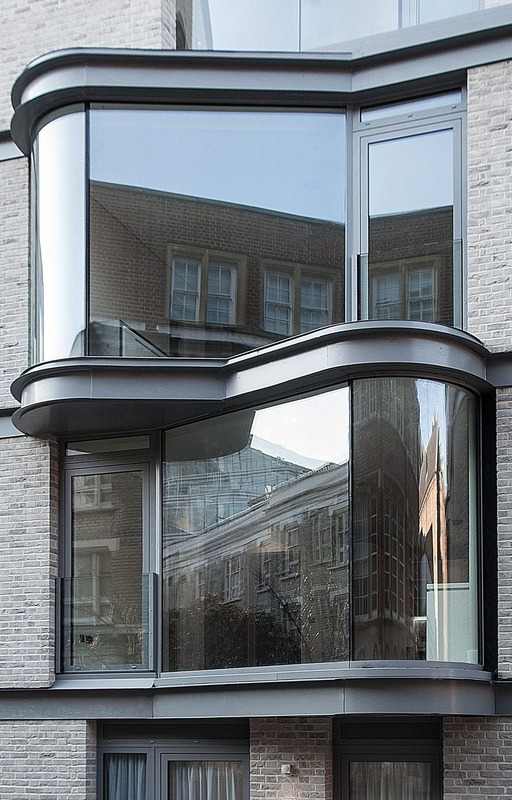 Alongside curved glass windows, aluminium casement doors were installed to each residence with a frameless glass balustrade adjoining the door design for a protective barrier when the door is open. The installation of frameless glass balustrades within these door systems means that views of the surrounding area are uninterrupted as the frameless glass design doesn’t obstruct views. To the top floor apartments, minimal windows® sliding doors and photovoltaic cladding were installed. Photovoltaic cladding utilises reflective glass to improve the light transmittance and efficiency of the photovoltaic module. As the penthouse receives the most direct light, the cladding was installed intelligently to receive the optimum amount of light throughout the day.